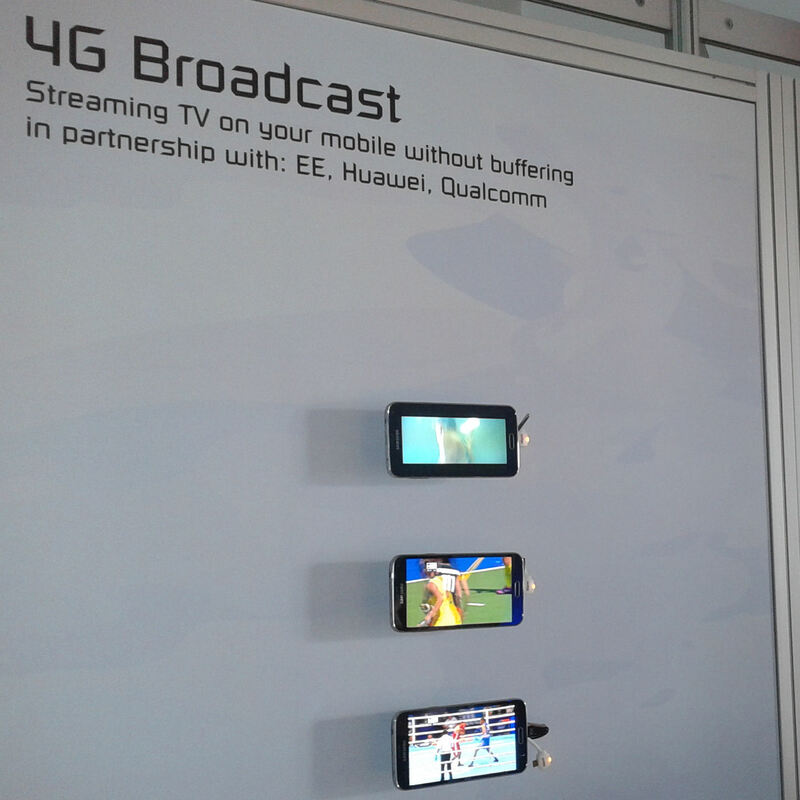 Speaking as EE demonstrated LTE eMBMS 4G broadcast technology at the Commonwealth Games in partnership with the BBC, Qualcomm and Huawei, EE Video Strategist Matt Stagg told Telecoms.com that it’s just a matter of time before 4G broadcast becomes a mainstream technology. The demo involved three Commonwealth Games events being broadcast simultaneously and was intended to bring the general concept – of being able to stream event video to mobile devices without killing the network – to the public’s attention. At a time when on-demand streaming of video to mobile devices is growing exponentially, networks generally can’t cope with major events such as sport, music, etc, when everyone wants to upload/stream video at the same time. 4G broadcast just requires one stream, no matter how many people are viewing it, and hence is a much more efficient use of capacity if many people want to stream the same thing at the same time. “It’s dynamic – the core is content-aware – so we’ve got a Sky Go Premiership match in a cell, the second or third person comes in, depending on how you want to run it, and then it will switch from a unicast stream to broadcast, using slightly more than you would need for a single unicast stream,” said Stagg. “So everybody else who tunes into that broadcast stream is ‘free’ in terms of extra bandwidth requires and gets a guaranteed quality of experience. If it’s HD then everyone who looks at it will see it in HD and it will have no impact on the spectrum, so you don’t have to put capacity in for live events and things like that. “Looking at our network now, because we can analyse the peaks that are caused by events, and live events will not be able to be supported beyond the capacity we build to meet normal peaks. Premiership games, for example, will create that spike, but there’s no way you can put capacity in for a Saturday and a Sunday afternoon for half the year. That will be the commercial driver because of the popularity of sport, but the proliferation of devices and the increased resolution of their screens are underlying drivers. Mobile TV is nothing new, of course. People have been banging on about how cool it will be in the future when we can watch TV wherever we are for at least a decade, but the dream has yet to become reality. “People often say to me ‘we’ve seen it all before, what’s the difference now?’ The difference is the global backing it’s got, the general acceptance that this is a solution that will happen, the investment that’s gone into it from infrastructure vendors – it’s happening,” said Stagg. “Everybody is doing video and we have to find a way to support that. So we will start to look at commercial deployment around 2016, but Korea Telecom already has country-wide distribution of MDMS and they run their TV service on it. “But we won’t see a mass roll-out, certainly in Europe, it will be there to meet demand and some of the challenges we’ll face from video. Coverage will grow organically and then we’ll look at some of the more ‘value-add’ on top of it; things like weather warnings, traffic, digital signage that wouldn’t make the business case by themselves, but once you’ve got it there are very small incremental costs to be able to overlay all these new services. In related news Nokia Networks also recently announced an eMBMS trial in Munich, which it claims is the first such trial for national TV broadcasting. 4G Broadcast seems like one of those technologies that will become mainstream without much fanfare, but in a few years we will just take it for granted that we can watch live footy on our phones at high resolution and without any buffering, hanging, etc. Qualcomm is already starting to introduce eMBMS support as standard issue in its Snapdragon chipsets and once device support is ubiquitous, operators like EE will have the confidence to invest in rolling it out. I think what needs to happen is EE need to make more of an effort of getting 4G to match 2G. In areas where there is both. Cos 4G is lower around here than 2G and then when they have the acceptable level of coverage across UK, think about switching off 2G. 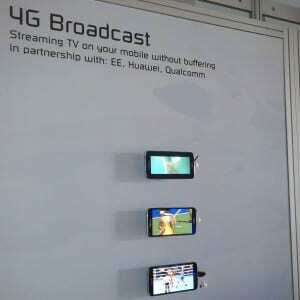 So they can have the 1800MHz band for more LTE TV services. Regardless to wrist they say, there’s quite a bit of buffering going on with 4G.